A couple of interviews from the past couple of weeks that are worth sharing. 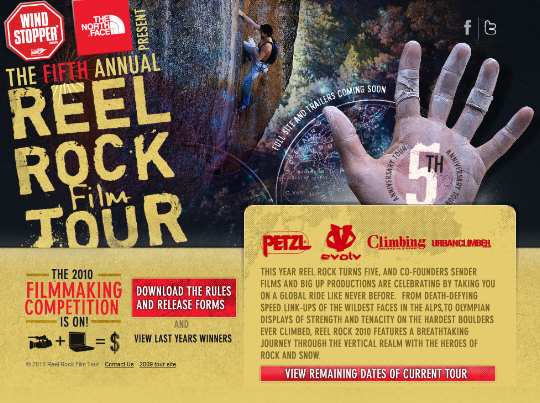 First is an interview done by the guys at ClimbTalk Radio with Rob Pizem, Dave Graham, Chad Greedy and Jon Cardwell. They start off chatting with Pizem about how he got into climbing and his latest projects. The understated Pizem even lets slip that he recently did the 2nd ascent of a potential 5.14 roof crack in Colorado’s South Platte that was first done by Jason Haas earlier this year. I think the very first time I climbed on a rock, I fell off of it and got a concussion and my friend Luke didn’t spot me because we didn’t know what spotting was. I hit my head on the ground. I climbed up this 45 degree wall that was all wet and I didn’t really know what to do and then I fell off. But that was on the same day…maybe right around the time I did a 5.9 slab, on sight, with my Summit 5.10 shoes, and I was really psyched, in this quarry, in Portland. Check out the full, very lengthy discussion here. Well, a couple of things. You don’t just go out and make a feature, it’s got to really call you. Like when we did King Lines, we wanted to do the definitive film on Chris [Sharma], and he had his arch project. It was all there. When we did The Sharp End, we were like, ‘We want to make a film about this side of climbing.’ The dangerous side, the psychological side, the risk side. So I think for those, you have this big idea, and it drives you. And for the tour, neither of us were driven by a big idea this year. I think we were really driven to make as diverse a line-up as possible this year. Check out the full interview to see just how diverse a lineup they’ve put together then check the calendar for a show near you. Where can you listen to the audio of this? Leave a Reply to RG Click here to cancel reply.